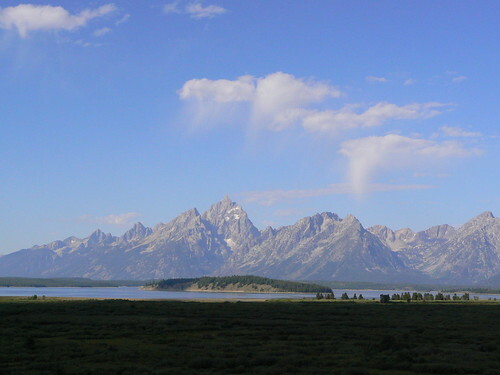 This is the view of the Tetons we had from Jackson Lake Lodge in Grand Teton National Park. We took quite a few photos of these magnificent mountains when we weren’t taking pictures of mooses and other critters. More photos to come on flickr.